Freelance art available just e-mail me with the project that you had in mind and I will be happy to give you a price quote. Come visit Fancy Farm! Meet Papa Sun and help Mr. Acorn and his farm animal friends Red Rooster, Brown Horse, Spotted Cow, Fluffy White Sheep, Grey Goat, and Pink Pig go on maze adventures. 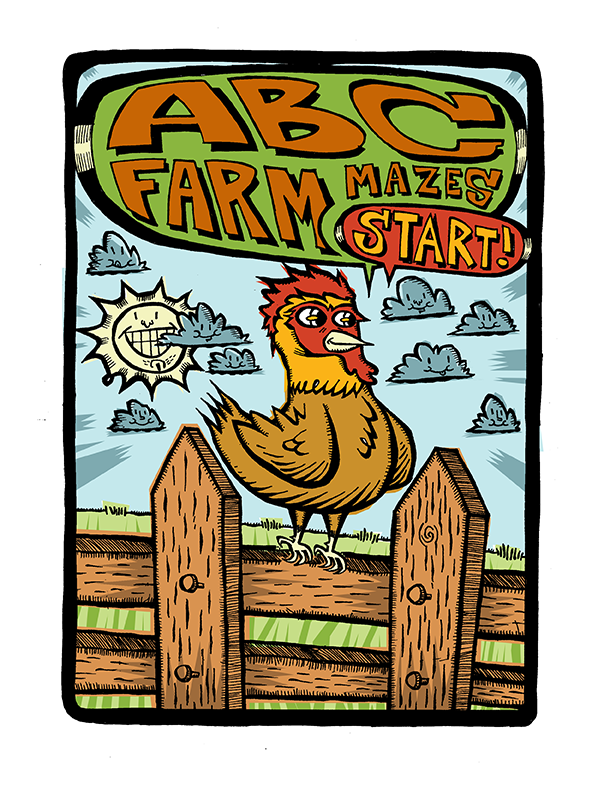 ABC Farm Mazes was created for the littlest learners, children ages 1-5, to help them learn the letters from A - Z, enjoy maze play, and experience an original narrated farm children's story. There are no in-app purchases to distract from the gameplay. Original kids' book style art by Ken Wright is incorporated in both the game as well as the pre-game pages leading the child into the adventure. Perfect for kids who love to have fun, love mazes, farms, and animals. 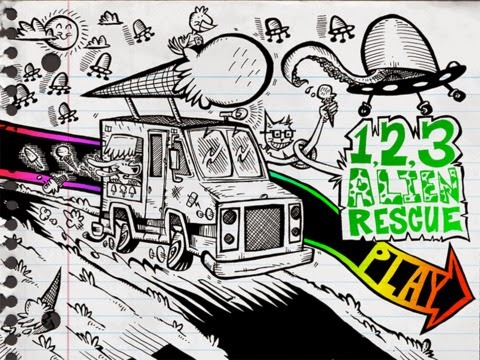 1 2 3 Alien Rescue is a game in which your child gets to help an unlikely team of animal heroes on their zany quest to rescue the world from a silly alien invasion using ice cream as their only defense. This app was created for children aged 1 - 5 to help them learn their numbers from 1 - 20. The educational components of the game include counting as well as number recognition by hearing the numbers, seeing the numbers, and seeing the words for the numbers from 1 to 20. They will learn as part of the adventure so they don't even realize they are learning, they are just having fun while saving the world. The game consists of three levels and a final big boss. Original comic book style art is incorporated into both the game play as well as the pre-game pages leading the child into the adventure and the post-game victory screens.